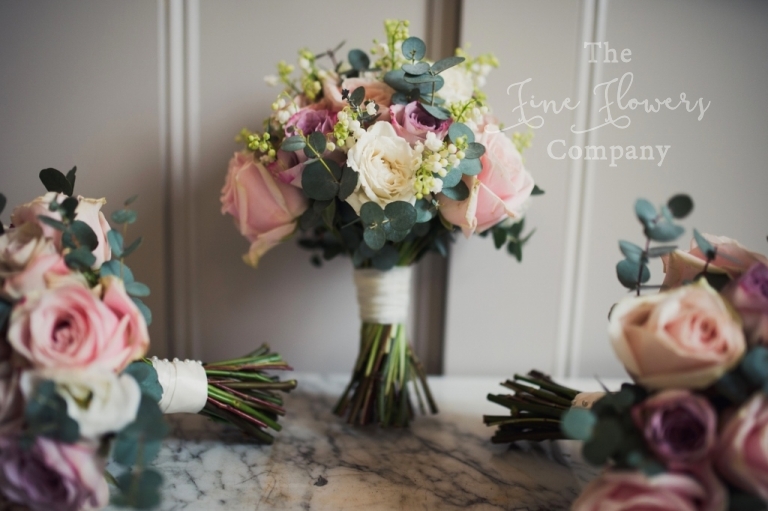 Beautiful vintage wedding flowers at Pembroke Lodge. This is one of my favourite mix of vintage pink wedding flowers I have arranged recently, with a lovely mellow blend of ivory, blush and vintage lilacey pinks. These wedding flowers at Pembroke Lodge are thanks to Claudia and Bruce’s recent spring wedding, and the lovely photos of these wedding flowers at Pembroke Lodge are thanks to the talented Kari at karibellamy.com. 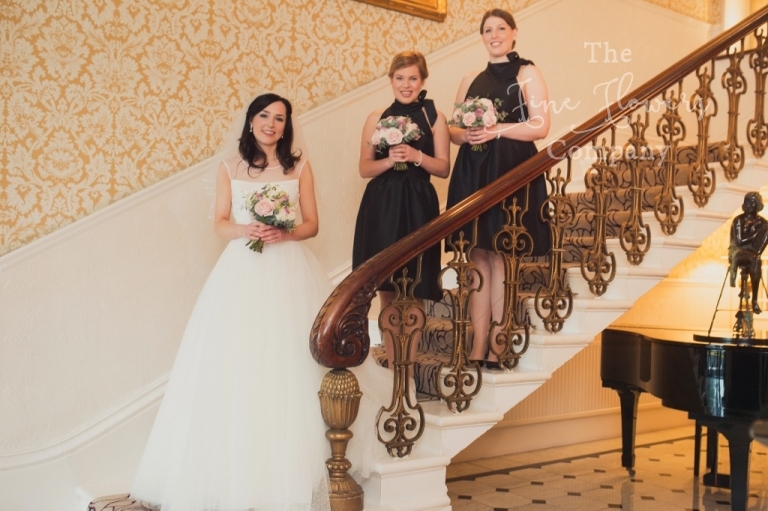 Claudia carried a beautiful scented bouquet of ivory, blush and vintage pinky lilac Memory Lane roses, with delicate lily of the valley and eucalyptus, and the bridesmaids, dressed in elegant black, carried matching bouquets. The wedding ceremony was at Claudia’s home church. Following the church ceremony, the wedding reception was help at Pembroke Lodge in Richmond, in the cosy and elegant Russell Suite. We dressed the venue with lovely classic silver candelabras on the guest tables, romantic flower and candle centrepieces on the fireplace mantlepieces, and a beautiful line of storm vase centrepieces along the top table. 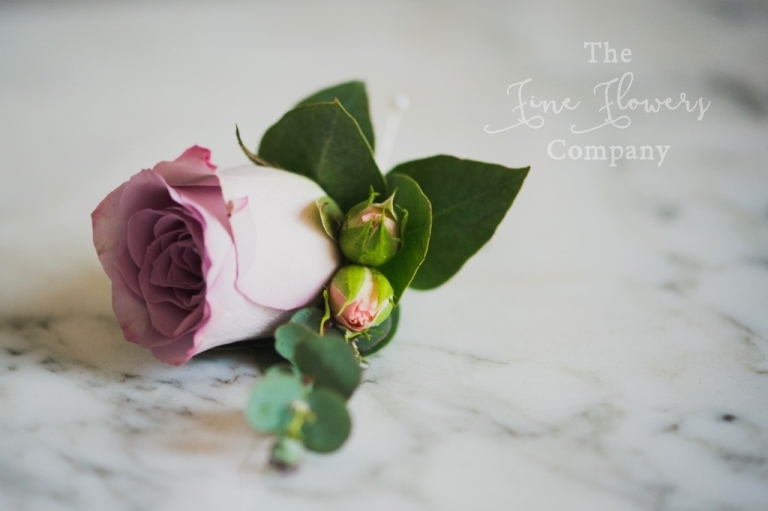 If you are planning your wedding at Pembroke Lodge in Richmond, please take a look at our other featured wedding flowers posts on our venue pages. 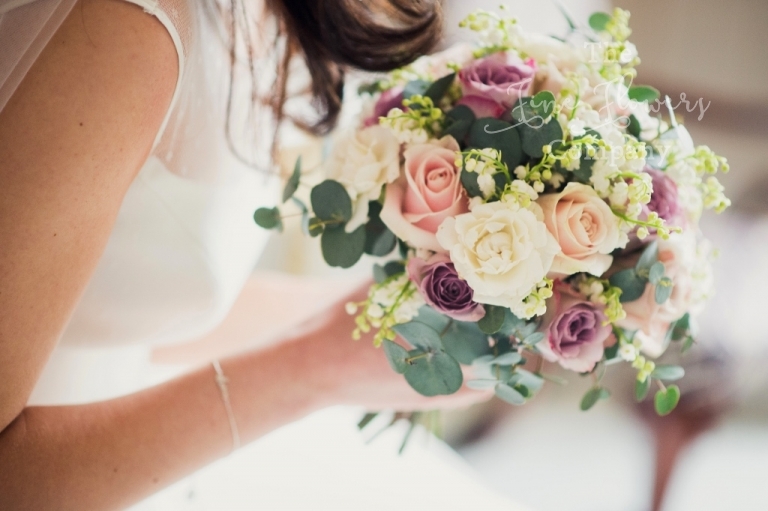 We are a recommended florist at Pembroke Lodge, know the venue extremely well and can help you plan your beautiful wedding flowers whatever your style.